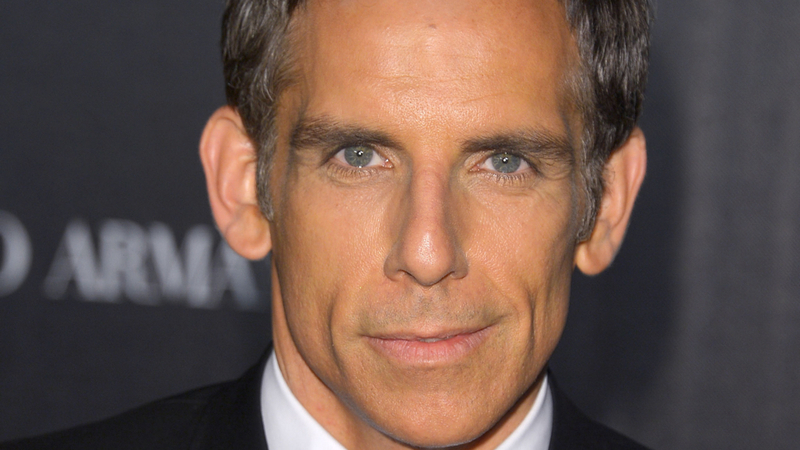 Ben Stiller is one of Hollywood’s most successful and acclaimed multihyphenates. As an actor, director, writer, and producer, Stiller’s global box office stands at nearly $3 billion, making him one of the highest-grossing stars of all time. He is also one of the most versatile, effortlessly moving between major franchises such as MEET THE PARENTS and NIGHT AT THE MUSEUM, the animated MADAGASCAR films, critically-acclaimed arthouse hits THE ROYAL TENENBAUMS, THE MEYEROWITZ STORIES, and WHILE WE’RE YOUNG, his legendary sketch television series THE BEN STILLER SHOW, and the Oscar-nominated TROPIC THUNDER, which he starred in, directed, co-wrote, and produced, to massive acclaim under his production company, Red Hour. Continuing to push the boundaries of his incredible filmography, Stiller recently directed and produced his most ambitious project yet: ESCAPE AT DANNEMORA, a 7-part limited series for Showtime starring Benicio del Toro, Paul Dano, and Patricia Arquette. Based on the infamous 2015 true crime story, ESCAPE AT DANNEMORA boldly traces the prison break and subsequent manhunt for two convicted killers who escaped from the Clinton Correctional Facility in Dannemora, NY. This riveting recounting of actual events, shot on location in upstate New York, has garnered numerous accolades. Stiller won the 2019 Directors Guild Award for “Best TV Movie or Limited Series” and was nominated for a 2019 Producers Guild Awards for “David L. Wolper Award for Limited Series Television.” The show also garnered five Critics’ Choice Awards nominations and two Golden Globe Awards nominations, both including nominations for “Best Limited Series,” and two “Best Actress in a Limited Series” wins for Patricia Arquette’s captivating performance as Tilly Mitchell. Stiller also executive produced, along with Red Hour Productions partner Nicky Weinstock, CW’s drama series, IN THE DARK, starring Perry Mattfeld, which is centered around an irreverent blind woman (Mattfeld) in her twenties who drifts through life in a drunken haze until she sets out to solve the murder of her best friend. The series premiered on April 4. Stiller will also executive produce, along with Nicky Weinstock, YouTube Premium’s drama DARK CARGO, starring Heather Lind, Chris Messina and RJ Cyler. DARK CARGO is described as a high-octane, cliffhanger-driven, neo-noir thriller set in the big rig cab of Joe Dobbs (Messina) as he traverses the darkest nights of his life. What begins as a random encounter with a disturbed stranger (Cyler) turns into a race against time, the police, and even more malevolent forces. All the while, Joe just wants to get back to his family. As a director, Stiller’s diverse body of work includes the critically-acclaimed hit comedy TROPIC THUNDER, which won the Broadcast Film Critics’ Award for ‘Best Comedy’ and the Hollywood Film Festival Award for ‘Comedy of the Year,’ in addition to Academy Award, Golden Globe, SAG, and BAFTA nominations for Robert Downey Jr.’s inspired performance. His other feature directorial credits include the cult comedy ZOOLANDER and its sequel, in which he also starred; the iconic indie REALITY BITES, starring Winona Ryder and Ethan Hawke; the dark comedy THE CABLE GUY, starring Jim Carrey; and THE SECRET LIFE OF WALTER MITTY, which was named one of the ‘Top 10 Films of 2013’ by the National Board of Review. TROPIC THUNDER, the ZOOLANDER films, and THE SECRET LIFE OF WALTER MITTY—as well as ESCAPE AT DANNEMORA—were all produced by Stiller at Red Hour, the production company he launched and operates alongside Nicky Weinstock, producing a wide range of film and television projects in collaboration with major studios and networks including Netflix, Disney, Apple, Amazon, NBC and YouTube, to name a few. As a vanguard in the industry, Stiller founded Red Hour in 2001 as an incubator for emerging writers and filmmakers, with an emphasis on embracing new platforms. His recent credits under the Red Hour banner include Netflix coming-of-age comedy ALEX STRANGELOVE; the Emmy-nominated digital series BURNING LOVE; the R-rated Netflix hit movie THE PACKAGE; the hit 20thCentury Fox release WHY HIM?, starring Bryan Cranston and James Franco; THE POLKA KING for Netflix, starring Jack Black; IFC’s THE BIRTHDAY BOYS; Comedy Central’s THE MELT DOWN WITH JONAH AND KUMAIL, BIG TIME IN HOLLYWOOD, FL and ANOTHER PERIOD; plus its growing film catalog, including the BAFTA-nominated SUBMARINE and worldwide box office hits BLADES OF GLORY, DODGEBALL: A TRUE UNDERDOG STORY, and STARSKY & HUTCH, among others. Upcoming film projects include independent romantic comedy PLUS ONE, directed by Andrew Rhymer and Jeff Chan and financed by Studio 71; ensemble comedy FRIENDSGIVING, written and directed by Nicol Paone and starring Malin Akerman, Kat Dennings, Jane Seymour and Chelsea Peretti; and punk rock indie comedy DINNER IN AMERICA, written and directed by Adam Rehmeier. Also an accomplished stage actor, Stiller made his Broadway debut in 1986 in Lincoln Center Theater’s production of John Guare’s THE HOUSE OF BLUE LEAVES—opposite John Mahoney, Swoosie Kurtz, and Stockard Channing—in an acclaimed production that garnered four Tony Awards. In a unique occurrence, Stiller starred in the 2011 Broadway revival of the same play, this time assuming the role made famous by Mahoney, and playing opposite Edie Falco and Jennifer Jason Leigh. Over the last decade, Stiller has also focused on one of his great passions: philanthropic and humanitarian work. Inspired by a visit to Haiti in 2009 alongside the organization Save the Children, Stiller founded The Stiller Foundation, a non-profit that—amongst other charitable activities—provides funds, resources and support in the rebuilding of schools and educational programs in Haiti. The foundation has also donated considerably to charities and organizations around the world, including Bicycles for Humanity, Balfour Education Center, Waipa Foundation, Haiti Cultural Recovery Project, Students Rebuild, Artists for Haiti, Architecture for Humanity, and The Bezos Family Foundation, among countless others. Stiller has also personally been involved with and supported countless charities and foundations over the course of his career, including Project ALS and Artists for Peace and Justice, to name just a few. Over the last two years, he has partnered with the UN Refugee Agency, UNHCR, to meet with and learn from refugees around the world, first in Berlin in 2016, Jordan in 2017, Guatemala in 2018, and most recently, Beirut, Lebanon, where he was enormously affected by refugees who recounted stories of survival and the humanitarian efforts that quite literally saved their lives. For his considerable philanthropic work amid an illustrious career, Stiller was recognized in 2010 by Time as one of the TIME 100, a list of the world’s most influential people. The Storyteller Series is co-presented by Audible.